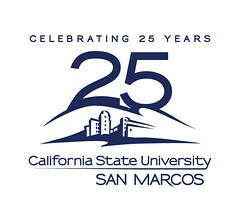 This year, Cal State San Marcos (CSUSM) celebrates its 25th anniversary. As the only comprehensive public university in North County, they are a major source of talent for San Diego’s dynamic companies. Together with the region’s other universities, they help ensure San Diego’s global competitiveness. We sat down with Dr. Haynes, president of CSUSM, to hear more about how the university has evolved over the past 25 years and what’s in store for the future. 1) Tell us about CSUSM. For many years, the University was considered North County’s best-kept secret. Not anymore – the secret is out, Cal State San Marcos is THE university to be at. With 13,000 students and growing, we are nationally considered a large university and we are regionally a high-demand, first-choice institution. CSUSM is the place where dedicated and talented faculty facilitate the success of our students—our region’s future leaders and change-makers. It’s the place where area businesses and organizations partner to foster economic growth and create real-world learning experiences for the sake of stronger communities. And it’s a place with a track record of accomplishments. CSUSM has recently received national recognition for best practices as a model employer, a diverse and military-friendly campus, and a community-engaged institution. 2) Ensuring San Diego has a steady stream of talented university grads is essential to our regional competitiveness strategy. What are some of the advantages to having your university located in San Diego? CSUSM is the only public comprehensive university in North San Diego County and we take that role very seriously. Beginning in 2006, we began establishing guaranteed admission agreements with 10 regional school districts, to ensure that students are prepared for college and supported throughout their entire educational journey.We are the only university in our state with a program of this magnitude – creating a college-bound culture for some 200,000 students from across our region. We have also placed a particular focus on serving educationally at-risk students. We have the highest per-capita numbers, within the CSU system, of student populations often excluded or overlooked by higher education, including Veterans, former foster youth and Native Americans.For the last two years, 52 percent of our graduating classes were the first in their families to obtain a four-year degree. We are very proud that not only do the vast majority of our students come from our region, but that after graduation some 85 percent of them remain here, equipped with profession-ready skills, creative talents, global awareness and homegrown commitment to help power the regional economy. Our sister public universities in the San Diego region have important roles, each of us filing a unique niche. While CSUSM serves all types of students, we have a strong focus on underrepresented and diverse student populations and those who stay after graduation to give back to their communities and contribute to the regional economy. 3) San Diego is full of dynamic companies, firms and service providers influencing global trends and innovation. CSUSM is very engaged with many of them. Pick a San Diego-area company that’s at the top of its game. One dynamic company and CSUSM corporate partner that comes to mind is ViaSat, a communication company located in Carlsbad. Because it is always looking with an eye toward the future, ViaSat has been an invaluable CSUSM champion, providing support and expertise across campus to develop our students and provide real-world learning opportunities. Just to name a few examples: They support our on-campus Summer Scholars program, which actively engages undergraduates in hands-on STEM research through a 10-week program; they provide multiple internship opportunities to our undergraduate students; and they sponsor events across campus, such as our recent Super STEM Saturday, a celebration of innovation and science education designed to expose and engage kids of all ages, and their families, to the fields of science, technology, engineering and mathematics. Several of ViaSat’s senior leaders volunteer their time and expertise on multiple college advisory boards, and ViaSat’s President and COO, Rick Baldridge even offered leadership advice and insight into the company and his career path by speaking at “In the Executive’s Chair” – a business course where students hear and learn from regional business leaders. The company’s leadership and input was also invaluable as we developed our new Cybersecurity Professional Master’s Degree. 4) What do you anticipate for the CSUSM in the next 5 years? What do you anticipate for the San Diego region? For 25 years, there has been great synergy between the University and our region. We have literally grown up together, coming of age as we have helped create, and were fed and nurtured by, regional businesses, organizations, schools, neighborhoods and cities. Moving forward over the next five years and beyond, we will continue to drive forward as a place of community engagement, a place for academic excellence and research, and a place for welcoming and stimulating environments supporting the success of the rich diversity of students we serve. We know that the San Diego region will continue to have workforce needs in multiple areas, including the life sciences, healthcare and information and communication technologies. To meet these demands we continue to survey key stakeholders in multiple business and nonprofit sectors to learn about their expectations and create innovative degree and certificate programs to fill those needs. Among these are new or planned programs such as our master’s degree program in public health and health information management; stackable certificates, potentially leading to master’s degrees, in international business, business intelligence, tourism and hospitality; and professional master’s degrees in cybersecurity and biotechnology. Efforts like these are part of our commitment to ensure that our students graduate career-ready to serve the needs of our region.